Sure, there's a lot of fun things you can do with the Apple iPad, but businessmen can also find many useful ways to use the tablet. Now, the pinstriped set has another reason to carry the iPad with them. Bloomberg has announced that their venerable Businessweek magazine will be available for reading over Apple's tablet starting now. The weekly magazine joins other publications with iPad apps like Popular Science, Maxim and Elle. 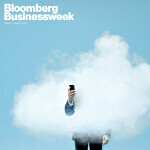 The Businessweek app is free and comes with one trial issue of the magazine. $2.99 buys you a 4-issue digital subscription. And if you already have a subscription to the print edition, you will receive the digital version for free. Bloomberg Businessweek for iPad will allow the user to search for a topic from all downloaded issues, re-size fonts and share articles with your friends and fellow businessmen through Twitter, Facebook or through e-mail. The weekly issue can be downloaded each Thursday evening at 10pm Eastern time or later.